“Join over 25 of the World’s Most Trusted Doctors, Researchers & Therapeutic Specialists as they reveal the cutting edge science and techniques that are paving the path towards healing: for children AND their caregivers. Autism Hope Alliance has provided over $1.2 Million in scholarships, program assistance, special foods, supplements, books, cleaners, toys and other crucial supplies to families across America. To date Autism Hope Alliance has helped give education, resources and spread HOPE to over 49,000 families through the lectures they have given and the conference attended. Last year’s summit reached 169 countries and over 9,000 families! 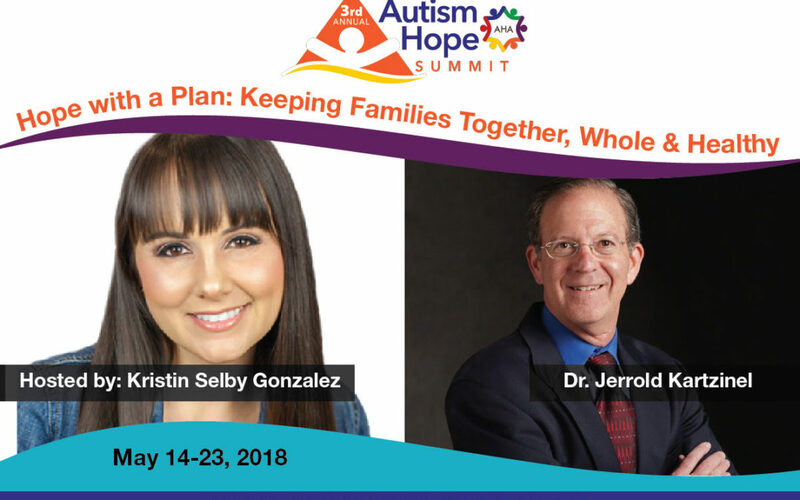 With this online summit we can reach a global audience and touch hundreds of thousands of people by bringing Autism experts, resources and free products directly to those who need it most.” Click here to register today!